With its inspiring sites, famous hotels and innovative restaurants, Washington DC draws millions of visitors from all over the world each year for a taste of the American experience. Visitors to Washington, DC enjoy access to some of the most famous and most interesting attractions in the world, most of which are free of charge. The fourteen museums that make up the Smithsonian Institution allow visitors to sample history, science and art. Away from the National Mall, Washington, DC is also home to a number of art galleries, small museums, historic homes and private gardens. Thanks to the safe, efficient Metrorail system, Washington, DC's attractions are easily accessible from all points in the city. This year, Washington, DC will welcome the International Spy Museum to downtown and several new hotel properties to its inventory. Hip new boutique hotels, such as the Hotel Rouge and Topaz Hotel, will be joined by the chic Hotel Monaco, the high-fashion Hotel Helix and the Hotel Madera and the luxurious new Sofitel. The arrival of several new eateries has also made the Nation's Capital a prime destination for dining out. Washington's restaurants reflect the rich ethnic texture of the city, also noting the influence of the Atlantic coast with seafood dishes and fresh fish. Traditional Washington also shines through in thick, juicy steak dinners. Meeting planners and delegates will enjoy an added thrill in 2003, when Washington, DC celebrates the opening of its new 2.3 million square-foot Convention Center. The new center will reflect the latest technology and top amenities in a beautiful new landmark meeting space. Packed with more famous sights and free attractions than any other place on earth, Washington, DC stands proudly as your Nation's Capital, your American experience. Come visit. And be inspired. 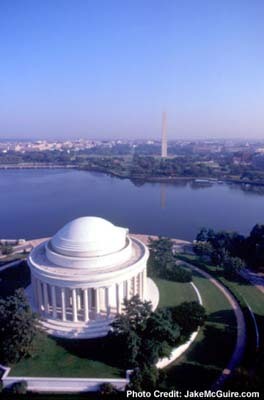 We have packages for Washington DC Mount Vernon tours, Washington DC monument site seeing as well as other site seeing. 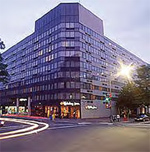 This 529-room hotel is an ideal location in Washington D.C. Close to most popular attractions, including the Smithsonian Museums, the U.S. Capitol Building, the National Holocaust Memorial Museum, and more. Dine at Smithson�s Restaurant or the Shuttle Express Deli. Unwind at night in the Launch Zone Lobby Bar. Pool, exercise room. 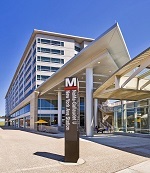 The hotel is located on the Metro's Red Line providing easy access for guests to experience Washington DC more easily and efficiently. Conveniently located and just minutes from the U.S. Capitol, guests are able to visit many top DC attractions including the Smithsonian and the National Mall. Business travelers will find flexible spaces to work or relax in, free Wi-Fi, and easy access to the latest news, weather and airport conditions via the GoBoard. The hotel restaurant features the Bistro, which provides guests with healthy breakfast selections in the morning and dinner options in the evening including cocktails and specialty Starbucks beverages. Work up a sweat at the hotel gym or pool. A 24-hr business center is available where you can print out your boarding pass ahead of time to make your stay more productive than ever!